The Sapindaceae or soapberry family, which contains about 2000 species in more than 125 genera, includes several important subtropical and tropical crops, among them, litchi or lychee ( Litchi chinensis Sonn.) and longan ( Dimocarpus longan Lour.) are the most popular. Litchi and longan exhibit three different flower types and the fruits have a whitish pulp, sweet flavor and a very aromatic aril. Both crops have been traditionally produced and marketed in China, which is the largest litchi and longan producer and consumer country. Litchi and longan have similar environmental requirements but due to their limited environmental adaptation, cultivation is restricted to countries with subtropical climates. The Asia-Pacific region accounts for more than 95% of the world production. Over the last several decades, litchi and longan cultivation has undergone a considerable expansion worldwide. However, only a few cultivars are used for production, usually with low yield. There are hundreds of cultivars of litchi and longan collected and preserved in China; important germplasm banks have also been established in other countries. 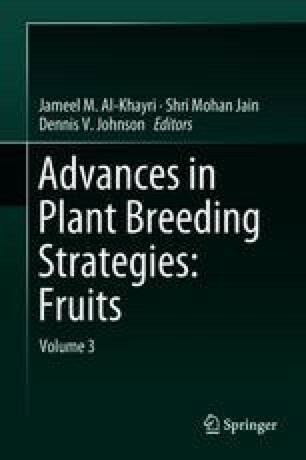 In this review we discuss several aspects of genetics and breeding of litchi and longan.